Ott Tänak held a narrow lead at Neste Rally Finland on Friday night following a titanic battle with Mads Østberg in which they traded top billing on four occasions. He ended a compelling day on blisteringly fast sun-kissed roads with a 5.8sec advantage over a rejuvenated Østberg after claiming four special stage wins. Tänak grabbed the initiative in Thursday night’s prologue and led by 1.1sec at today’s mid-leg service, despite the Norwegian briefly edging ahead. Østberg moved back to the front this afternoon, only for Tänak to regain the advantage again. Loose gravel on the surface ensured little grip for the early starters. The Estonian, who was third in the order, shrugged aside that disadvantage as those around him floundered and stuck to a rigid strategy at a rally on his Toyota Gazoo Racing team’s doorstep. Østberg relished his upgraded Citroën C3, which delivered improved handling, and won three tests. High tyre wear forced him to throttle back as the afternoon progressed. “We did not lose a lot of time which is good because in the end it was all about getting through the afternoon,” he explained. It was a tough day for championship leader Thierry Neuville and closest title rival Sébastien Ogier. As the first two starters, both struggled for grip and what was already a difficult challenge for Neuville became worse when he missed a junction and his Hyundai i20 swiped a tree. He ended 10th. Ogier limited his losses in a Ford Fiesta. The Frenchman ended sixth, almost a minute clear of Neuville, in his quest to close a 27-point difference in the championship standings. 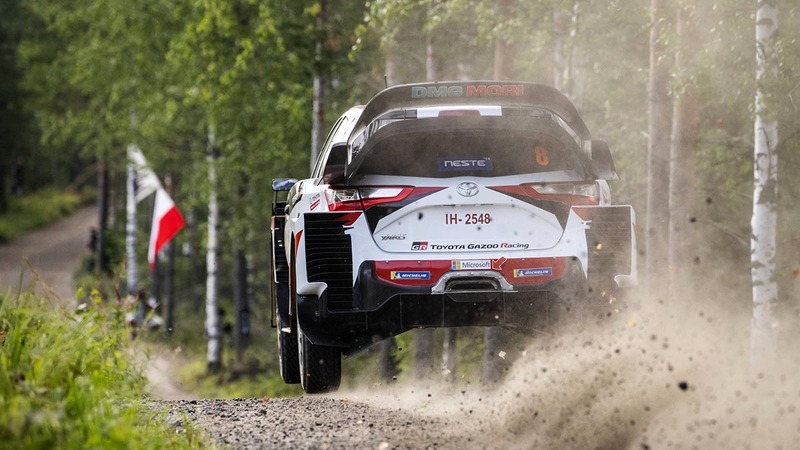 Jari-Matti Latvala was third, 17.3sec behind Østberg after a consistent day in his Yaris. The Finn, three times a winner of the rally, ended 13.3sec clear of Hayden Paddon. Paddon and Teemu Suninen swapped places on several occasions but the Finnish youngster fell back in the final stage with brake problems in his Fiesta.